Senator is a very popular set from our amateur-decorative range. Wooden chess pieces, felt base. Chess Pieces. Folding chess board. Insert tray for the chess pieces storage inside. Material: Hornbeam and Sycamore. 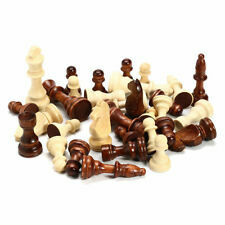 1 set of chess(32pcs). Quantity: 32pcs. Color: As the picture shows. There are NO EXCEPTIONS! ProfessionalLEAP PQ9907 Digital Chess Clock. Model: LEAP PQ9907. Available for Chinese Chess, International Chess and I-GO. With alarm when the match is over. Pet Supplies. Vechicle Part & Accessories. The squares are perfect for chess pieces with Kings base. A high quality folding chess board covered with rugged PVC plastic, this traditional chessboard will tuck away neatly and never get wrinkled! Dear friends, Hello ! I will do my best to solve the thing about the item. We will reply for you as soon as possible. 16pcs White Chess Pieces. 16pcs Black Chess Pieces. If you do not receive our reply within 48 hours, pls. If you are satisfied with our service, pls. Chese Pieces Height: 2.5~4.9cm/0.98~1.93in. Lightweight and small size is easy to carry. Roman Chess Set - Chess Board Black/White- Size 17,3" + Roman Chess Pieces 3,75"
The largest problem with this is that usually the pieces are too fragile or expensive. 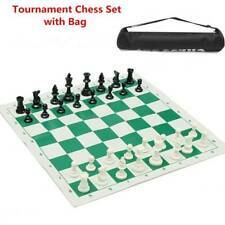 This chess board unrolls flat, is durable, washable, and will last for years! 3 3/4" Black & Gold Roman Legion Plastic Chess Pieces. 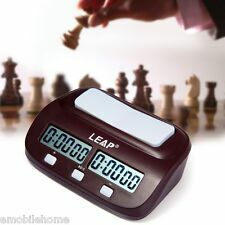 Professional LEAP PQ9907S Digital Chess Clock. Model: LEAP PQ9907S. Available for Chinese Chess, International Chess and I-GO. With alarm when the match is over, you can open or close the alarm. Foldable design, chess pieces can be put into the chessboard for easy storage. The chess board every individual pieces have a light magnetic attraction to the 64-square playing field. Chess Piece Size: 2.1cm/0.83" (Approx.). We will do whatever we can to make it right for you. And we will do our best to solve the problem and give you a satisfying answer. GLASS CHESS SET. ELEGANT GLASS CHESS SET. ANTI-SCRATCH FELT BOTTOMS. SOLID GLASS DESIGN. YOU GET THIS. Electronic Pest Repeller Ultrasonic Rejector for Mouse Bug Mosquito Insect. Available for Chinese Chess, International Chess and I-GO. Main Features ProfessionalLEAP PQ9907S Digital Chess Clock. With alarm when the match is over, you can open or close the alarm. 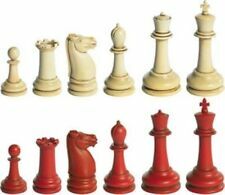 New 32pcs/set wooden chess king 5.5cm height.total weight about 90g V! Rook 3.7cm Height, 1.7cm Base. Total weight of 32 pieces: 90g. 32 pieces including 16pcs of white and 16pcs of brown. 32/set x Wooden Chess. Pawn 3cm Height, 1.6cm Base. Queen 5cm Height, 1.8cm Base. Mini 3D Brain Teaser Wooden Magic Drawers Gift Jewelry Box Puzzle WA. Unicorn Donut Cake Bread Squishies Cream Scented Slow Rising Toy WA. Unicorn Tea Strainer Infuser Filter Silicone Leaf Spice Herbal Loose Diffuser WA. 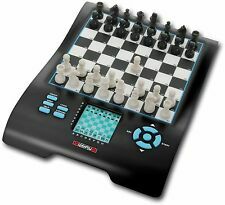 Professional Tournament Chess Board, No. 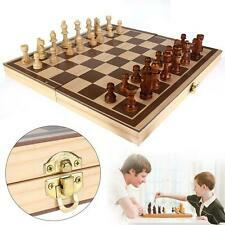 5 - 18.9"
Any chess enthusiast will appreciate its fine wood, classic design, and exquisite details. Rosewood Chess pieces Emperor Staunton 3.6" (91 mm) 2 Extra Queens. If you really love chess, you deserve these chess pieces. Beautiful Emperor Staunton chess pieces with beveled bases. From the perfect on the King to the minute details of the knight's mane, these Rosewood and Boxwood pieces have green velvet pads on the bottom. This historic chess set collection includes Nazi Germany with Hitler as the dictator of the army and USA representing the Allied Forces led by Roosevelt. The pieces include iconic landmarks unique to each side. 100 Silicone Rubber Feet Bumpons 8mm Clear Round Self Adhesive Anti Slip Circle. Foldable board. 3M 1" W x39.4"Dual Lock SJ3550 Type 250 VHB Black Reclosable Fastener In/Outdoor. 3M Silicone RUBBER FEET CLEAR Round Self Adhesive Anti Slip Circles. Beautiful Chess Set with Hand Carved Board and Pieces. King 4.5" (11cm). Queen 3.66" (9.3cm). Pawn 2.28" (5.8cm). Board is made from beech and birch wood. Hand crafted in Poland. Dated 2001, Excalibur. 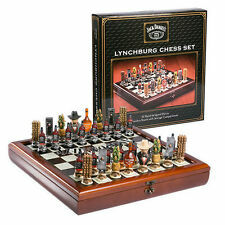 Very cool chess set with cherry colored wooden storage case, a stiff removable foam case for the pieces lifts out for easy play, the box is secured by a latch. These pieces were hand painted for this deluxe collector's edition. The largest problem with this is that usually the pieces are too fragile or expensive. This chess board unrolls flat, is durable, washable, and will last for years! 3 3/4" Black & White Roman Legion Plastic Chess Pieces. Wood CombinationEbonised Boxwood / Boxwood. Dark Chess PiecesEbonised Boxwood. SET INCLUDES 4 QUEENS. Light Chess PiecesBoxwood. Total Weight Of Chess Pieces1.4 lbs (700 grams). 34 Chess pieces. CategoryChess Pieces. Premier weighting system designed to last longer than other weighted chess sets. The GREATEST CHESS SET EVER MADE IS BACK! Then had to buy more because they were so well liked! I have an Original set and a "NEW ONE" now! ANTIQUE J.J & Son (John Jaques) "Set of Chessmen" Box. LONDON. with 32 pieces. 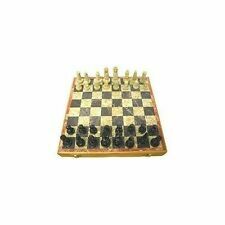 Elegant themed chess set representing World War II, every piece is detailed hand painted. The global conflict that generated in Europe in 1939 with the invasion of Poland from the Germans and ended in 1945. The Battle of Waterloo was fought in 1815, near Waterloo, present day Belgium, between the Anglo-allied army commanded by the Duke of Wellington and the French army commanded by Napoleon Buonaparte, Resulting in the defeat of Napoleon and the end of his French Empire. Elegant themed chess set representing the Battle of Waterloo, every piece is detailed hand painted. 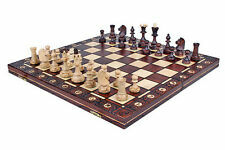 Great quality professional chess board with coordinates, imported from Spain. Chess set board. Material: walnut, maple. This board has a diagonal pattern made from the natural wood grain of walnut and has a mat finish, simple and elegant. Elegant themed chess set representing the Crusaders, every piece is detailed hand painted. The Crusades were military campaigns sanctioned by the Latin Roman Catholic Church, during the Middle Ages. Material: montgoy palisander ( wood similar to mahogany), maple. 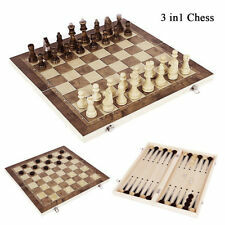 Great quality chess board, imported from Spain. Chess set board. This board has a mat finish, with its traditional look is simple and elegant. Vintage horn chess pieces in box. One set A2. New condition. Scooby Doo Chess Set New in Package. Rare, New, & Sealed!